This is probably my final guitar project – I have too many guitars and despite giving several away, I still own more than I can use – so I decided to build a hard tail Stratocaster, since up until now I have only assembled Telecasters. What makes this guitar a little bit different, apart from the cosmetics, is the SSH configuration and the tone controls. 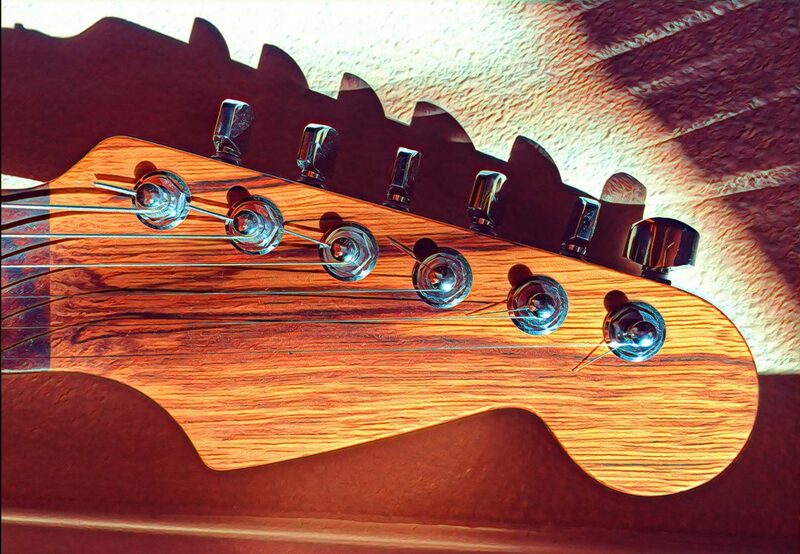 In Fender-speak, “SSH” means that the pickups on the Strat are “single coil, single coil, humbucker”, as opposed to a vanilla Stratocaster, which is configured as SSS. What else is different? I have wired the guitar such that the 5 way pickup selector functions as usual, the volume control functions as usual, the first tone control works as usual, but the second tone control is actually a blender control which “blends” in some amount of the bridge humbucker to whatever other pickup combination is selected. Hence the name “Stratoblender” 🙂 I described the wiring in a previous post.